Over 50% of all critical data processing is performed in batch, which means that scheduling plays a key role in your business success. To successfully address your batch scheduling needs and meet your business objectives, you must employ a reliable, scalable batch scheduling solution capable of effectively managing critical processes and contributing to your overall business success. Control-M 9 enhances the industry-leading workload automation solution to enable reduced operating costs, improved IT system reliability and faster workflow deployments. 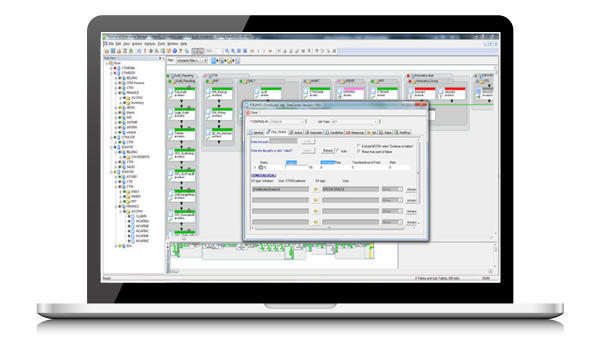 BMC Control-M Workload Automation integrates the management of critical workload processes from one focal point of control. It maximises automation by providing cross-application and cross-platform scheduling capabilities, such as job dependencies, workload balancing and event-based job execution. Control-M prevents scheduling problems from developing into business problems. 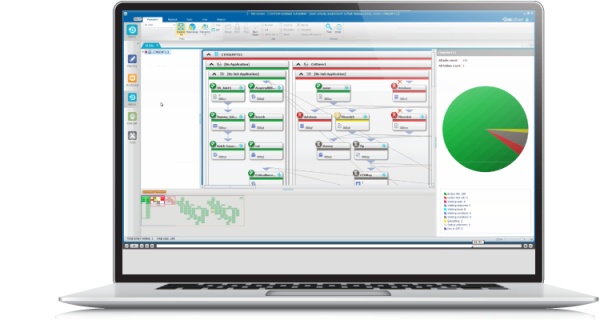 Read how to connect Hadoop to the Enterprise using Control-M Application Integrator. BMC Control-M has been rated by Gartner as the only Workload Automation solution in the “Leader” quadrant in each of their last five reports. The most recent published in February of 2012, can be seen on the right. 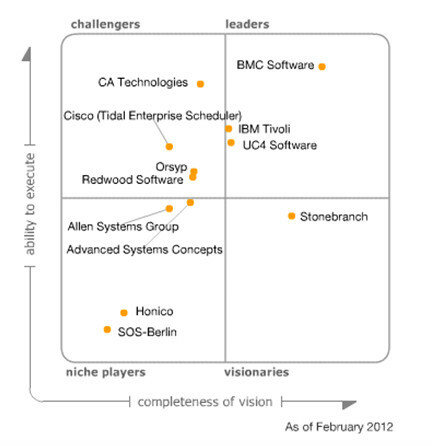 Read the results of TechValidate’s survey of 1,346 verified customers and users of BMC Control-M Workload Automation. KTSL’s experienced BMC Control-M consultants have successfully implemented batch scheduling systems for a wide range of customer applications.